All of the below information comes directly from job reviews written by Zurich Financial Services employees based on 38 reviews. Make sure you have researched the company as much as possible and taken an interest in any news that might relate to Zurich. Also ensure that you have researched the insurance sector well. If you do not know the answer to quite an open ended/tough question always talk around it and how you would figure it out as this is almost more important than the final answer you give. Always seem enthusiastic and in group exercises listen but get your point across and engage in discussions. Just be yourself, don't try to pretend to be the perfect candidate. Ultimately the application is both for you to get a job, and for them to see if the role will suit you. Likely if the role won't suit you, you won't enjoy it. Difference between pricing and reserving, questions on types of insurance, hypothetical questions (eg, why to middle aged women get charged more on motor insurance - not anymore though! ), why I wanted to work here, examples of experience. Do some basic research on the company and the insurance industry. Many applicants will have a similar background so my advice would that when asked for examples in interviews try to differentiate yourself from other graduates. Have examples ready for various competencies - experience is good even if it is just from university. Be honest and do your research. Go into detail but don't waffle. Be yourself not who you think they want. Make sure you are aware of the job specification and in turn refer to each within the application form. You may not have a direct example of 'a time where you did this...' however you may be able to twist something to fit. Be yourself in an interview. It's as equally important, if not more, to build rapore with the interviewer as it is to come across as having the right knowledge/experience. As graduates nobody expects us to have seen or know it all so there's no point prentending that you have. Apply early, ensure you read the question carefully and answer the question they are asking. Ensure no spelling mistakes and finally to make sure to sell yourself. Similar to application, make sure you sell yourself. Ensure you do background research on the company and the industry it is involved in. Look into professional qualifications and further development. There are many stages. Just keep confident and do some background research into the company and industry to show willingness to learn and enthusiasm for this particular company. Keep confident and answer the questions with as broad a range of examples as you can. Many of them are competency related, particularly on the telephone interview. Work together rather than against one another in the team challenges and group tasks if an assessment centre is done. The opportunities within Zurich and the insurance market are so broad there is something to suit everyone. Althought it is not always considered as a career, it is a great industry to work in. Research the company and its values. Make sure your application is specifically tailored to the role you are applying for. There are lots of competency questions so ensure you can think of valid examples of when you may have exhibited different core behaviours. Research the company before applying to show you have taken an interest and ensure your cover letter is tailored to suit the company's strategies. Be prepared to have lots of examples to showcase the skills you can bring to the business and have an understanding of the work that is actually required to create and price an insurance product. A range of people are on the scheme, but you need to be prepared to put the hours in and there is a big focus on networking. The assessment day is tough but enjoyable. It compromises a group exercise, a case study, a competency based interview and a presentation. Be yourself and see whether you can see yourself fitting in with the company, remember it's as much about you finding the fit right as the company. Have lots of good examples for the standard compentancy questions and be open about yourself, good self awareness of development areas is much better than pretending to be perfect! Do your research into the industry and the company. Also, be yourself! Be yourself! The company wants to know who you are, and not who you think they want you to be. Everyone here is so different - there is not a certain type of person they are looking for. Do your research and be confident in your abilities. Know the company inside out. Do your research on the basics of the company and practise the psychmetric tests to get used to the structure before applying. Give detailed descriptions of each one of the competency questions. If possible, I would thouroughly recommend trying to find someone within Zurich who can help with the ethics and General Insurance market composition. The best advice I can give is again to know the basic structure of the company (How many countries do they opperate in? How many staff do they employ? What are their basic principals?) as well as knowing how they fit with why you want to apply (i.e. I want to apply because the company emphasises the importance of teamwork and I work extremely well as part of a team...). I would also suggest reviewing any competency questions and answers. Come in with your eyes open and a willingness to learn. A background interest in this sector is essential, but not question is a bad question. Ensure you have researched the company. You will always be asked why you are choosing to work for an insurance company. If you say "because I've always been interested in insurance", you will probably not get any further... no-one was interested in insurance before they get into it, they go into it because of the variety of the work, different projects etc. Be truthful. Describe a time where you have taken it upon yourself to better your self or pursue a goal. Try to understand what a BA & PM do - it might help you understand which rotations suit you and allow you to focus on the appropriate skills for that role. Business analysis is more analytical and logical, project managers are more communication and planning focussed. Know whether you want to work for a large organisation and all that entails (good benefits and prestige but slower to react to changes and quite bueracratic). Interviews are conducted with 2 people interviewing you. Typical competency questions with questions around the industry. Do your research; take the time to really understand the industry and the company. The resources are out there and they'll explain very carefully what's expected of you at each stage so there's really no excuse for being under-prepared. But it's not just about reciting facts and figures, understand what drives the industry and what drives you to want to be a part of it. The interview is a fairly standard mix of questions on motivation and experience. Be prepared to elaborate on everything on your CV. Relax and try to enjoy it, they want you to succeed, if you can gain a rapport with the interviewers then you'll be half way there. 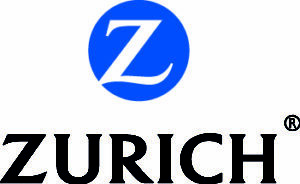 Make sure your interest in working for Zurich comes across. Make sure you know all about Zurich, not just what they do i.e. inurance but also about their social corporate resonsibiliy, their charity work etc. Try to go into as much detail about your past experiences, examples of working/projects and achievements. The more detail that is added, the more that you sell yourself and get across your potential. Try and use a variety of examples in the answers to any questions as it shows that you are well adverse to different challenges. Tailor your answers to show how you meet the companies values, traditions and beliefs. This shows that you have the correct mindset to work in the business your applying for and share the same beliefs. Be very optimistic and and engaging with your interviewer. Try and get your personality across as well as your business acumen. If challenged, stand by your original statement and be prepared with additional information which backs up your arguement or claim. Show how you are a quick leaner and can adapt to different situations. You don't have to be a perfect match to the roll, but show how you are willing to give things a go and apply yourself. Competency interviews etc. as standard. Always relate you answers back to the business "guildelines"/"goals" etc. e.g. integrity, accountability, customer focus etc. Don't get too caught up on whether you know all the content/business area etc. - show your willingness to learn and to adapt and pick things up quickly. Identify strong technical knowledge, and a willingness to learn but at the same time you must show potential in being a future leader. Do a bit of background into the insurance industry and how it works. 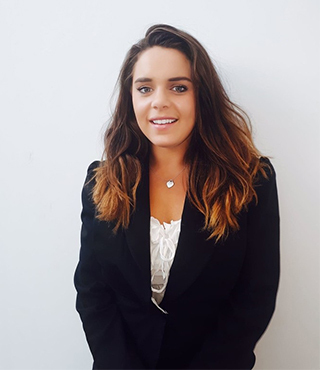 Ensure you have done your research on the company before applying, it is important that you have a genuine interest in working for the company as this will come across in later stages of the application process. Be yourself in the interview, they are after someone with a personality as opposed to a robot. The interview was part of an assessment day and done on a one-to-one basis. The questions were primarily competency based and best answered following the classic STAR format. - What do you know about being a Project Manager/Business Analyst? - Why do you want to work in the insurance/financial sector? - Why Zurich and not one of our competitors? Make sure to read up on Zurich's charity work - especially Zurich Community Trust and Zurich Cares. Read up on the Insurance industry or link it to your work experience. Most candiates admit that Insurance was not their first choice but it is really one which is diverse and always going through constant change. Research the role and the areas the company operates. Be prepared to move around as many candiates fall foul as they fail to appreciate that Insurers are also based outside of London. Extract key skills from your experiences, Zurich are looking for talented graduates that have an all round skill set. Be enthusiastic about the opportunity Zurich presents and show how keen you are to work for the company and in Insurance.